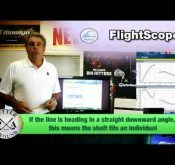 Posts under tag "Club Analysis"
In this short video Paul compares the shot stats, of two TaylorMade 3 Woods, provided by a FlightScope launch monitor. Paul Barker is the head Professional at The Vale Golf Club. Use the link below to watch more of Paul Barker’s videos. FlightScope® by EDH, a premier portable indoor-outdoor ball-flight and golf launch monitor and the world’s first-ever 3D tracking radar for golf, has announced the launch of its latest Software Release Version 5.5.1 which is being showcased at the PGA Merchandise Show, Orlando, and rolled out to eligible partners globally during February.